Miss Alexa just added a few new Danish country homewares to her online store, Lille Hus. 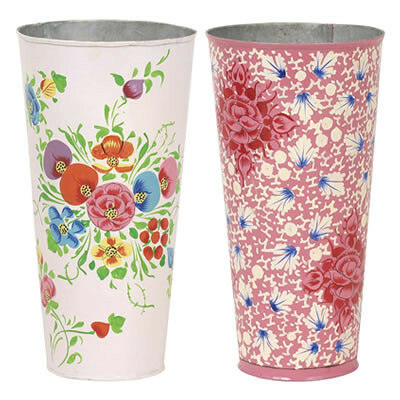 Aren't these the sweetest handpainted tin vases ever? Fill them with fresh picked daisies and you have your own European flower shop at home. 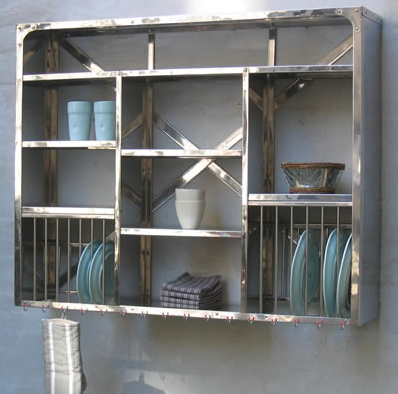 If you want something that stands out as a bit more modern or even industrial, you'll love the stainless-steel kitchen units. These have so much character! Wouldn't it look great up against a [insert your favorite color here] wall?